The history of humanity, as told through one hundred objects from the British Museum in London, is drawing to an end. This week Neil MacGregor's history of the world is telling the story of European encounters across the globe during the 18th century. This week Neil MacGregor is exploring the sophisticated ways in which people connected to gods and ancestors in the Middle Ages. He is looking at religious images from India, France, Mexico and Turkey. 4 Extra Debut. Korea: source of modern-day electronic components. Neil MacGregor delves into the history of an artefact from the region. Neil MacGregor selects a miniature mask to tell the story of the Olmec, the mysterious people of ancient Mexico who lived before the time of the Aztecs or Maya. Neil MacGregor's history of the world recounted through objects at the British Museum arrives in Northern Europe 2,500 years ago. The Director of the British Museum Neil MacGregor retells the history of human development from the first stone axe to the credit card, using 100 selected objects from the Museum. Neil MacGregor's history of the world told through objects from the British Museum arrives at the Palace of Sennacherib in Northern Iran. 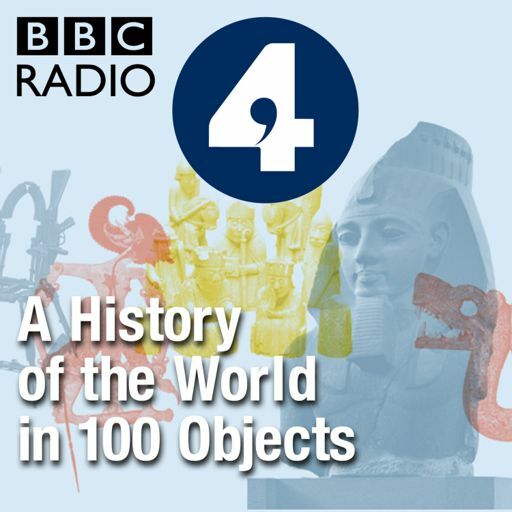 Director of the British Museum Neil MacGregor retells the history of human development from the first stone axe to the credit card, using 100 selected objects from the Museum.